Another hilarious record topping our RECORD OF THE WEEK blog this week! 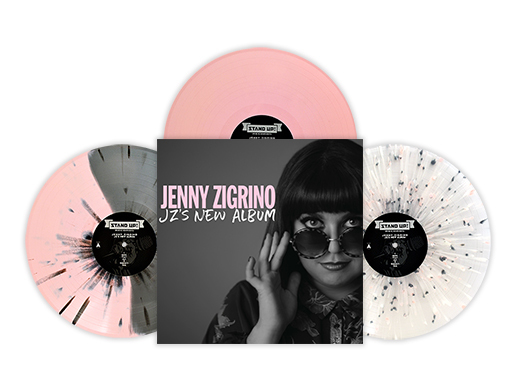 With the sweetness of the Midwest and the iron balls of the East Coast, JENNY ZIGRINO is a comedian that packs a punch of truly original humor. She’s charmed audiences across the country with her wit, keen observations, embarrassing anecdotes, and brilliant honesty for a compelling performance you can’t ignore. She made her late night debut on Conan O’Brien and was a recent guest on the hit shows @Midnight and Adam DeVine’s House Party Season 3 on Comedy Central. She’s been featured on TBS, Oxygen, TruTV, MTV Fox, and IFC. Comedy powerhouse STAND UP! RECORDS is bringing you ‘JZ’s New Album’ – so you know its going to go platinum! GO buy on of these from STAND UP! or catch JENNY out on tour right now! Fronted by the affable, spectacled Jordan Hudkins, ROZWELL KID write massive, gritty, excitable power-punk songs. “Precious Art”, the band’s first album for SIDEONEDUMMY, is a quintessential ROZWELL KID album and something entirely new at the same time. It’s teeming with understated nostalgia, but doesn’t get too lost in the past. Rather, it recalibrates the past, revisiting it with the added wisdom that comes with age. Head on over to the ROSWELL KID website to check out their upcoming tour or preorder and see if they still have some of these ‘Doublemint’ inside ‘Deep Purple’ Color-In-Color or the ‘Hot Pink’ and ‘Dean’ AsideBside versions left! 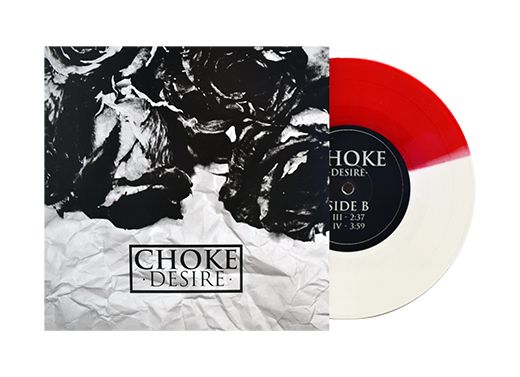 ‘Desire’ is the CHOKE’s third vinyl release and fifth release overall. It’s the follow up to 2016’s debut 12″ record ‘Left With Nothing’. This 7” record was pieced together over almost two years and was once again recorded by the band before being sent over seas to be mixed and mastered. Head over to RESIST RECORDS to find out more info on the latest CHOKE release! HIDDEN VOLUME RECORDS officially started 2014 in Baltimore, Maryland and is dedicated to garage rock, power pop, psych and anything cool. They specialize and have a love for good packaging. GORILLA is from Tokyo, Japan and formed in 2014 from members of legendary Japanese garage punks, Teengenerate and The Cokes. They are huge fans of late 70s US power pop, Big Star and The Raspberries. They’ve toured the US and play out regularly in their native country. 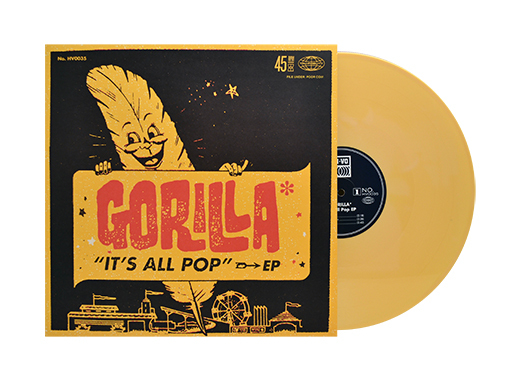 Their second ever vinyl release, ‘It’s All Pop’ is out now!!! Arizona newcomers GATECREEPER deliver 9 monstrous songs of low-end, old-school death metal on their savage debut album ‘Sonoran Depravation’. 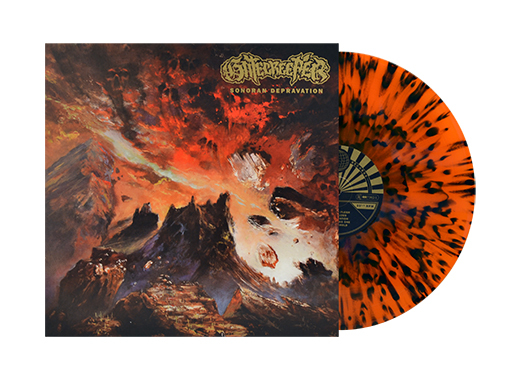 Having devastated the underground since their formation three years ago, GATECREEPER’s first full length can be found over at RELAPSE RECORDS, purveyors of all that is metal.